In a 90-minuite presentation, NOVA reveals the ancient secrets of how the pyramids were built by actually building one. 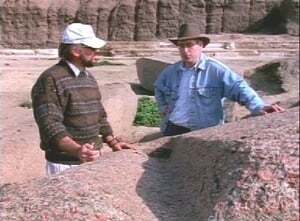 A noted Egyptologist, Mark Lehner, and a professional stonemason, Roger Hopkins, join forces in the shadow of the Great Pyramid of Giza to put clever and sometimes bizarre pyramid construction theories to the test. 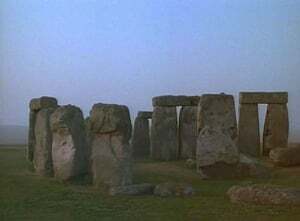 A distinctive feature of this stone site are the trilithons, which consist of two upright stones topped by a horizontal lintel stone. In this program, the NOVA team considers how to transport and raise the massive stones, as well as how to place the lintel stone on top. By comparing different strategies and adapting ramps, levers, and other tools that might have been available to the ancient builders, the team works to meet the challenge. Even without such technological advances as wheels, arches, draft animals, iron tools, or a system of writing, the Inca—utilizing a tradition of shared labor—achieved a number of engineering feats. The NOVA team explores both stonework and bridge building, experimenting with dragging and fitting huge stones, and working with the people of an Andean village to create a suspension bridge made only of grass ropes. 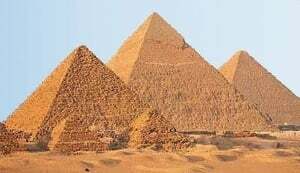 Pharaohs who built magnificent temples to preserve their names for eternity often graced temple gates with pairs of obelisks, four-sided shafts of granite that taper gently upward until the sides meet at the top to form a pyramid shape. NOVA's team of experts attempts to build, transport, and raise a scale model obelisk using those materials available to ancient Egyptian engineers: rope, dirt, sticks, and stones. 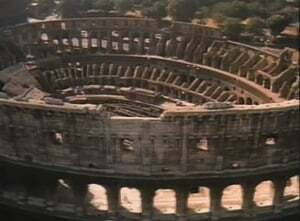 Citizens of Rome came to the Colosseum to behold free entertainment that usually came in the form of violent war games and bloody battles between humans and animals. This structure's most impressive feature was a massive canopy that provided shade from the hot sun. In order to investigate the possible forms the roof may have taken, NOVA's team constructs models at a smaller arena in Spain. Astronomers discover planets beyond our solar system. But is there life on them? 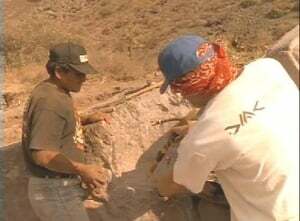 How do paleontologists and commercial fossil hunters know where to look for rare and priceless dinosaur bones? Ever since World War II, physicians have struggled to find ways to treat heart failure, the biggest killer in the modern world. The world's leading sea horse biologist journeys to Australia and the Philippines to explore the secret lives of these extraordinary fish.